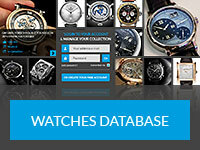 Baselworld 2014 - The Biggest event in the Watch Industry. Baselworld has been an institution in the watch world for almost as long as there have been watches. It's the largest event in the horological calendar by far, the first exhibition of Baselworld was held in 1917. Basel in Switzerland was chosen as the venue as it is ideally located in the centre of Europe on the borders of Germany and France, enabling easy access for all who wish to attend the giant event. In modern times, Baselworld, held over the course of one week in late March, attracts some 2,100 exhibitors from well over 45 countries and regularly attracts an audience of over 100,000 people, enough to fill one of the world's largest football stadiums. Baselworld is a glittering line-up of the latest watches from hundreds of the world's well known and not so well known brands. It's the key opportunity to showcase dazzling new collections for the year so as to attract orders from all over the world. The stakes are high, and the cost of participating is substantial, so it's important to have a successful event. In addition to buyers meeting sellers, Baselworld is also an excellent opportunity for journalists to meet and mingle with the key brands and feature news of numerous new watches and collections. In recent years the steady rise of several dedicated watch blogs has seen a feeding frenzy of information hungry bloggers, with watch brands only too happy to promote their products through a number of channels. It is no exaggeration to say that Baselworld is the lifeblood of the watch industry. Baselworld 2014 Report – Baselworld Rocks!